Today we took an afternoon trip to our favourite dirty, junky, junk store! 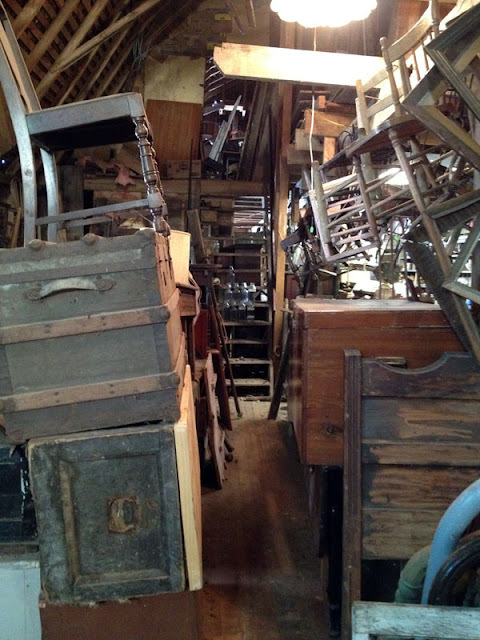 Lots of salvage pieces, architectural pieces, and just good old junk. Love visiting this store. I never know what I'm going to find. 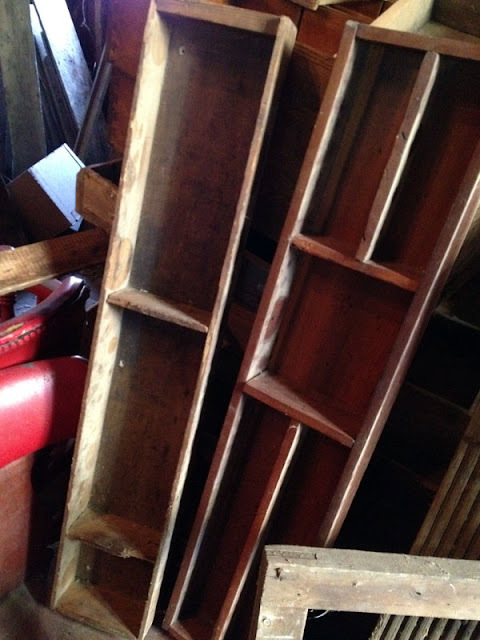 Lately I've been looking for storage pieces for my scrapbooking area, if I ever get it set up! 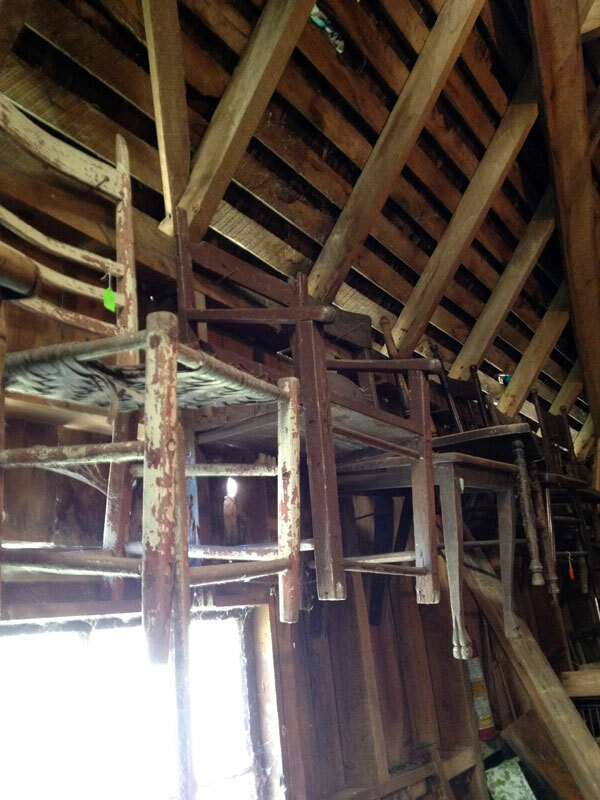 Piles of trunks, foot boards and headboards, and rows of old chairs. Today there were SO MANY of these divided drawers. I came home with three similar to the above ones. Will post photos tomorrow! 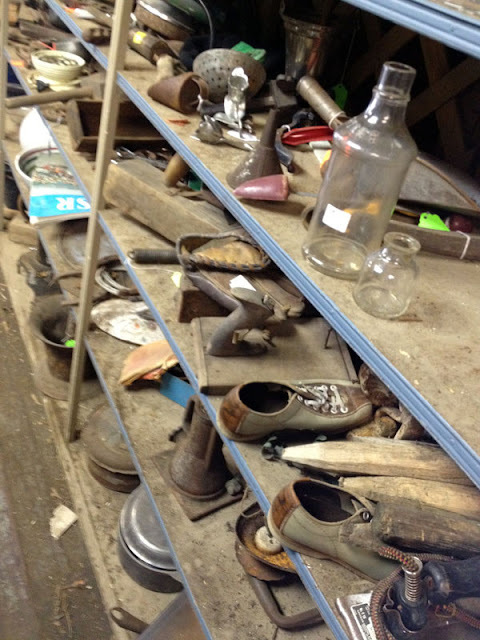 A random shelf shot... this place has something for everyone, whether you collect glass bottles, funnels, irons, pots, or old bowling shoes!